San Jose Baby Photographer • cousins | gooseandbugsphotography newborn baby and child PhotographyCustom children's photography, specializing in newborn portraiture, on location in San Jose, Ca and the surrounding Bay Area. I can’t stop smiling looking at this picture. 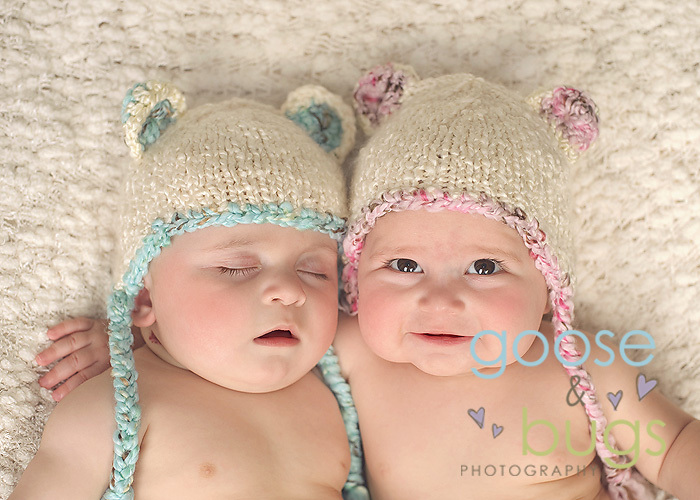 It isn’t the ideal 2 babies smiling at the camera shot we were working on but it is so sweet nonetheless. She had her little power nap and was ready to roll but he just couldn’t fight to stay awake one more second. I think we got some good ones of them both awake but I couldn’t stand not to post this one. This entry was posted in Uncategorized and tagged baby photographer, bay area photographer, san jose photographer | Bookmark the permalink. I love it! Absolutely priceless!